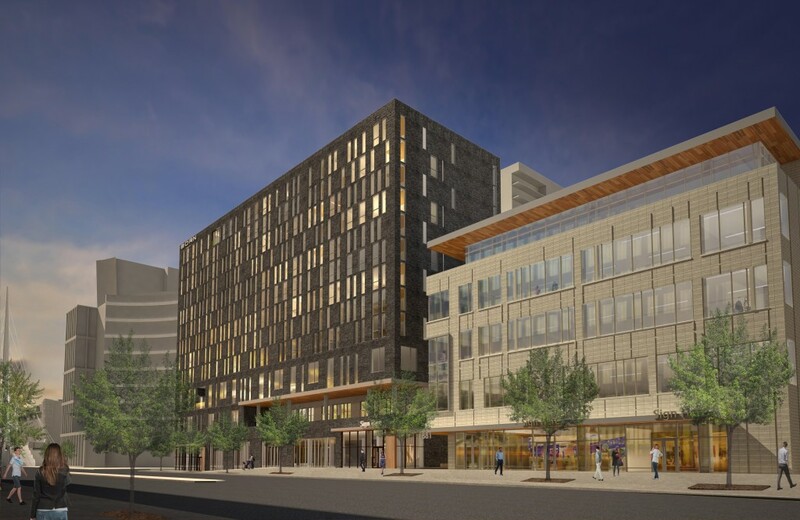 Kimpton Hotels & Restaurants has announced it will be expanding its presence in Denver with the addition of a four star hotel at the open parcel on 16th street and Wewatta. The planned 200-room hotel is part of a larger mixed use project that will include an office component and ground floor retail. This planed hotel will be Kimpton’s third property in Colorado along with downtown Denver’s Hotel Monaco on 17th Street and Sky Hotel in Aspen. Colorado based Semple Brown Design and BOKA Powell, out of Dallas, have been selected as the Design Architect and Architect of Record respectively for this project. “We have plenty of experience bringing the signature Kimpton boutique experience to new and emerging urban neighborhoods and this looks to be a perfect fit for what we offer both business and leisure travelers,” said Chief Executive Officer Mike Depatie. The planned hotel will include 8,300 square feet of conference space, a rooftop patio, a 2,000 square foot fitness center, and two local-inspired, chef-driven restaurants. 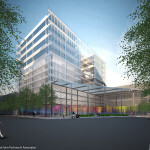 The office portion of the project will be five stories and will include 53,000 square feet of office space. 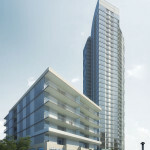 According to Kimpton Hotels & Restaurants, this project is expected to be delivered in late 2015.